Here's several thousand words worth of commentary regarding Marquette and Murray State. 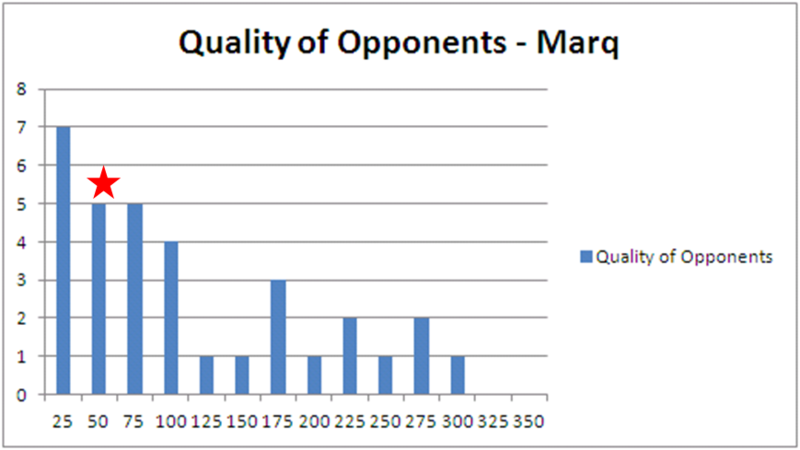 The bottom line/x-axis is the Pomeroy rank of Marquette's opponents by bucket. It's a ranking by bucket (1-25, 26-50, etc). 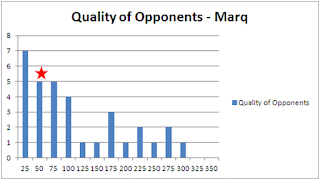 The column shows how many opponents by bucket Marquette has played. For example, MU has played seven opponents ranked as Top 25. 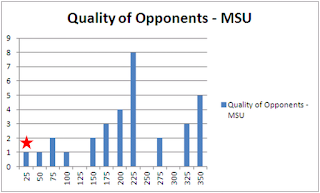 Finally, the red star shows Murray State's place among the rest of MU's opponents. Murray State would be the sixth 26-50 opponent Marquette plays this year. 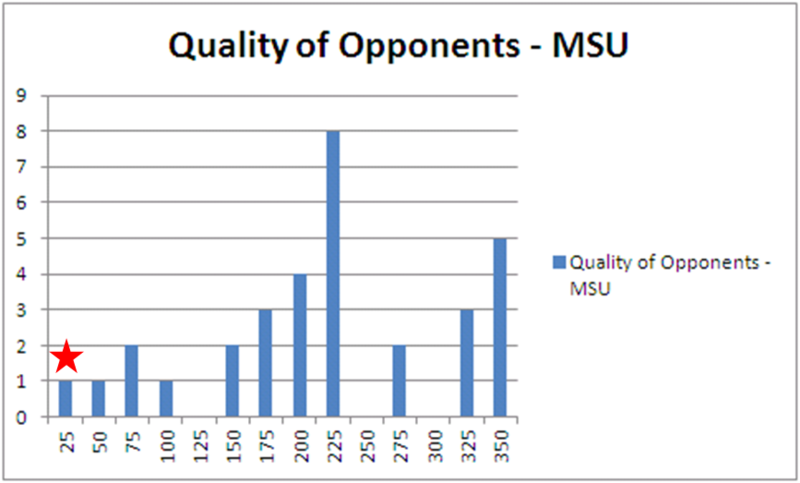 Here's the same type of chart for Murray State (31-1), presented without further comment.